Ninety years ago in Amsterdam the International Football Federation, today simply called FIFA, decided to stage football championships every four years. Two years later, in 1930, the first international football competition took place in Uruguay, selected as the most suitable venue for the championship. This year Russia is hosting the 21st FIFA World Cup, and to celebrate the sporting event, the Multimedia Art Museum in Moscow has an exhibition all about that first-ever World Cup championship. The exhibition includes photographs, posters, and the trophy as well as objects used by the football players from the collection of the Montevideo Municipal Center of Photography and the Museum of Football in Montevideo. 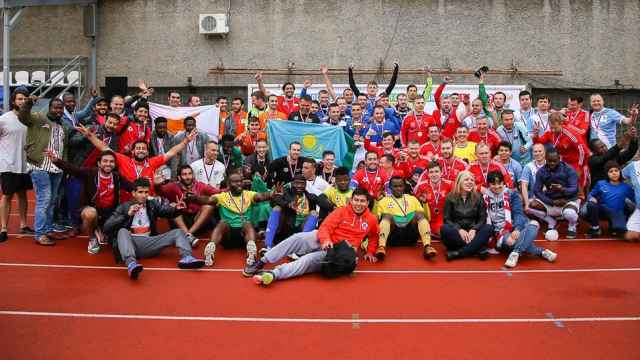 Despite FIFA rules stipulating that the host country would cover all the expenses, only thirteen national teams decided to take part in the event: nine representatives from the American continent (Argentina, Bolivia, Brazil, Chile, Mexico, Paraguay, Peru, Uruguay and the U.S.) and four European teams (Belgium, France, Romania and Yugoslavia). A new stadium that met all the requirements of the world tournament was built for the 1930 FIFA World Cup in Montevideo. But although more than one thousands workers labored to construct the stadium in a record time of less than ten months, it was not yet completed for the first World Cup match. 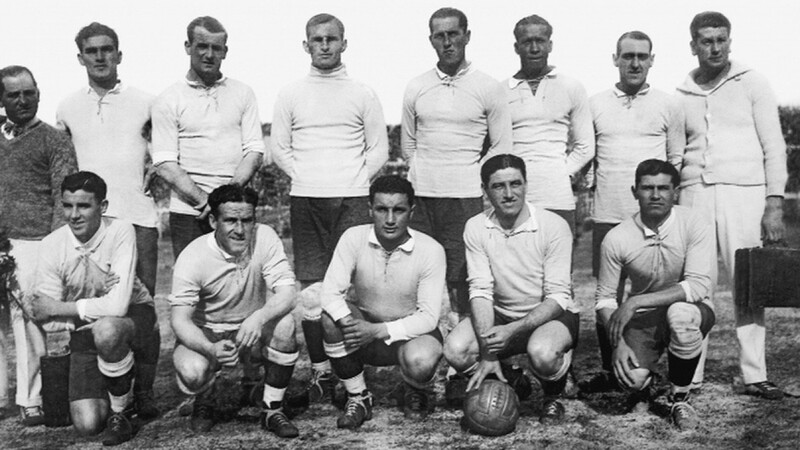 Due to the delay, one of the opening matches between France and Mexico was played on July 13, 1930 at the Estadio Pocitos, which was later demolished when the local football team Peñarol started to play in the new Centenario Stadium as its home field. On the same day, the United States and Belgium played in Montevideo’s Central Park. In the end, the two fields hosted six more World Cup matches. 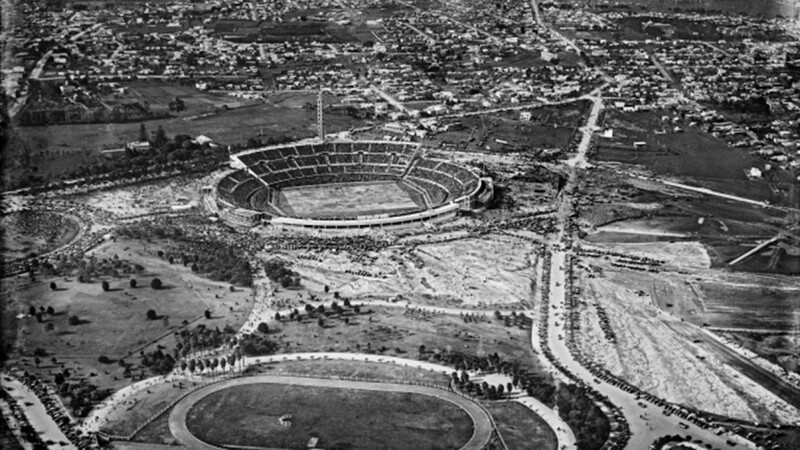 Centenario Stadium was inaugurated five days after the World Cup kicked off, and the event was part of the celebration of the hundredth anniversary of the adoption of the Constitution of Uruguay. A parade of delegations marched around the perimeter of the field and after Uruguayan President Raul Jude’s speech, the first match — Uruguay vs. Peru — was played. The pictures exhibited at MAMM show one of the most important moments in the history of sports, allowing the visitor to see the difference between the old and new championship. The 1930 World Cup lasted eighteen days, and at that time the national teams’ football players were not professionals. Many of them where blue-collar workers. And of course, there was no television or internet. Radio was the only media where fans could follow the matches, which were all broadcasted by the Uruguayan Radio Broadcasting Service. Many posters and leaflets with a drawing of Centenario Stadium were printed to help listeners imagine what was happening on the field. 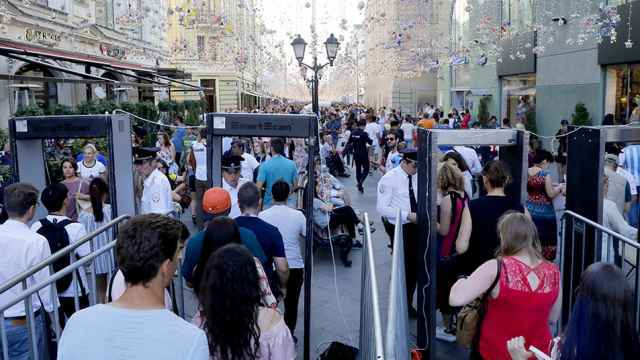 “A lot of things have changed since the first World Cup took place, from the rules to the organization, but what has not changed is the passion, and especially the joy and the fun of this sport,” Uruguayan Sports Minister Fernando Caceres told The Moscow Times during the exhibition opening. The project presented in Moscow by the Center of Photography of Montevideo, displays also the copy of the first World Cup, much smaller than the current one and kept in the Montevideo Football Museum. Next to the trophy is a small sample of soil from Centenario Stadium. The First FIFA World Cup of 1930 runs until July 29 at the Multimedia Art Museum of Moscow.